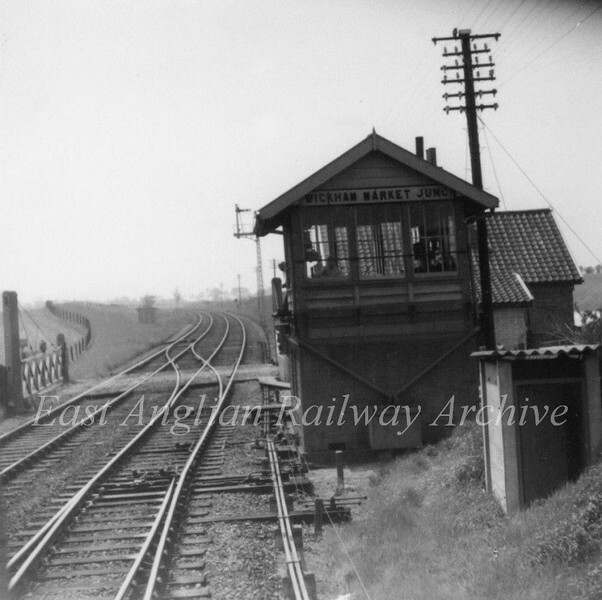 Wickham Market Junction Signal Box on the East Suffolk Line.c1965. This was the junction for the Framlingham Branch. Behind the box is Blackstock Crossing. Photo Brian Leighton.